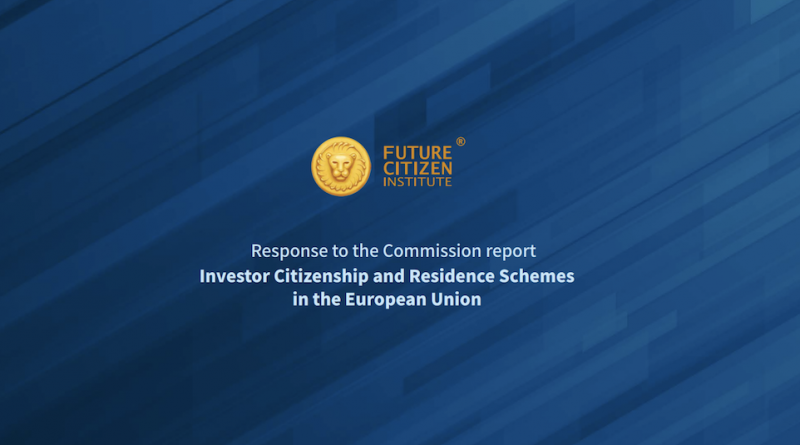 In perhaps the thoroughest response yet to the European Commission’s report on the investment migration market in Europe, the Future Citizen Institute takes the Commission to task for contradicting itself, arguing against its own stated principals, and for ignoring vital data. The Future Citizen Institute is the academic research arm of Kylin Prime Group, an investment migration consultancy. Their reaction to the report is the latest among a wide variety of responses from industry stakeholders. The legitimacy of the “genuine link” doctrine in light of international law is highly questionable. The Commission’s invocation of the “sincere cooperation” principle is irrelevant in this matter. The Commission did not take the economic benefits of investment migration into consideration. “The Commission relies heavily on the concept of the “genuine link”. […] this concept has been disputed ever since it was defined by the International Court of Justice in the Nottebohm case. The list of academic publications on the case is long and includes both early critiques by H. Golsong, Joseph Kunz and Mervyn Jones, among others, and more recent commentaries by Oliver Dörr, Albrecht Randelzhofer, Audrey Macklin, and Jacob Dolinger,” writes the FCI.